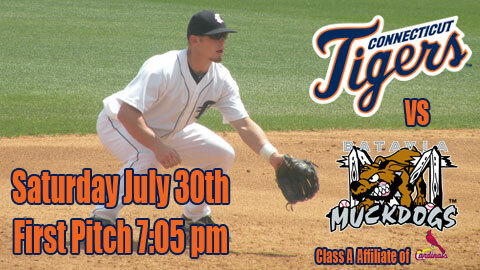 The Tigers are in the midst of a 5 game roadtrip to Auburn and Lowell. 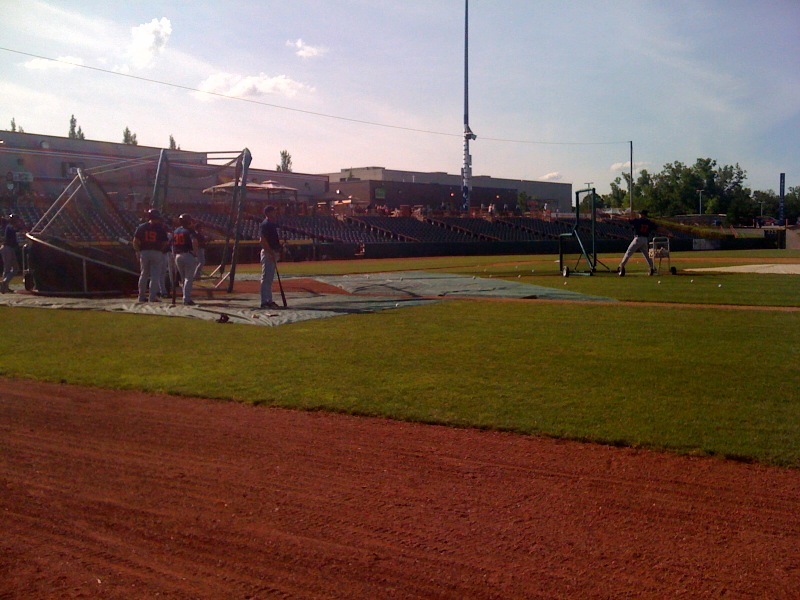 The Doubledays play at Falcon Park. 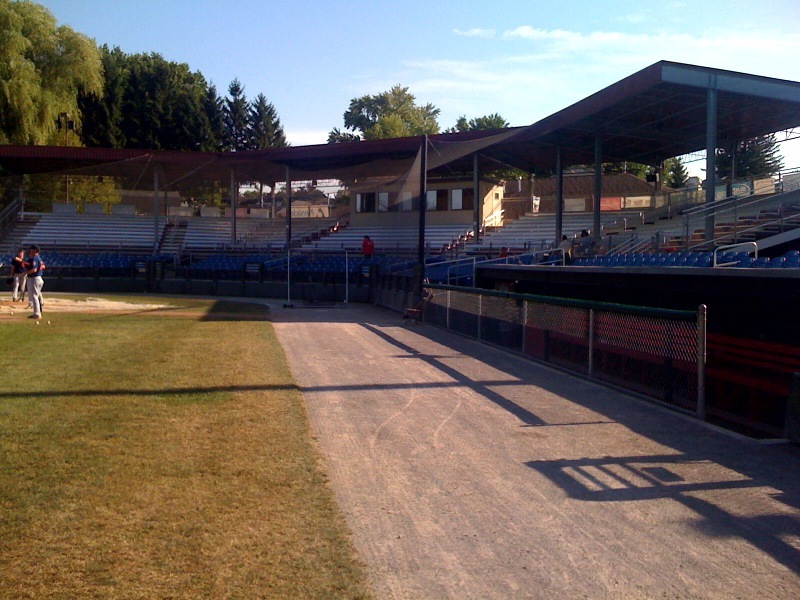 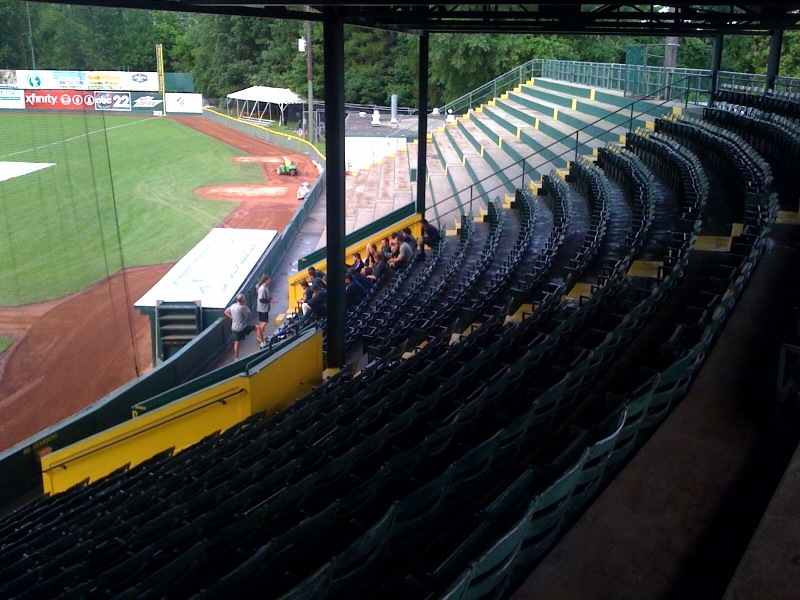 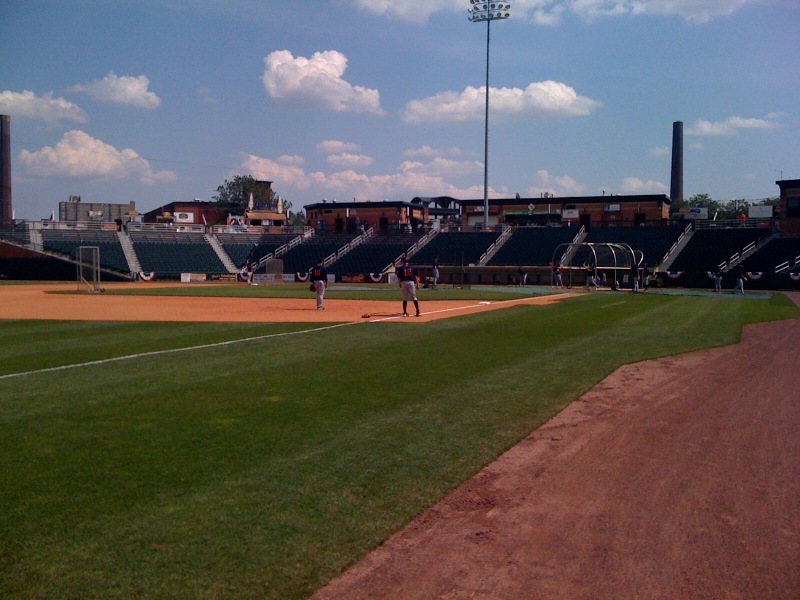 Falcon Park was built in 1995 and has a capacity of 2,800. 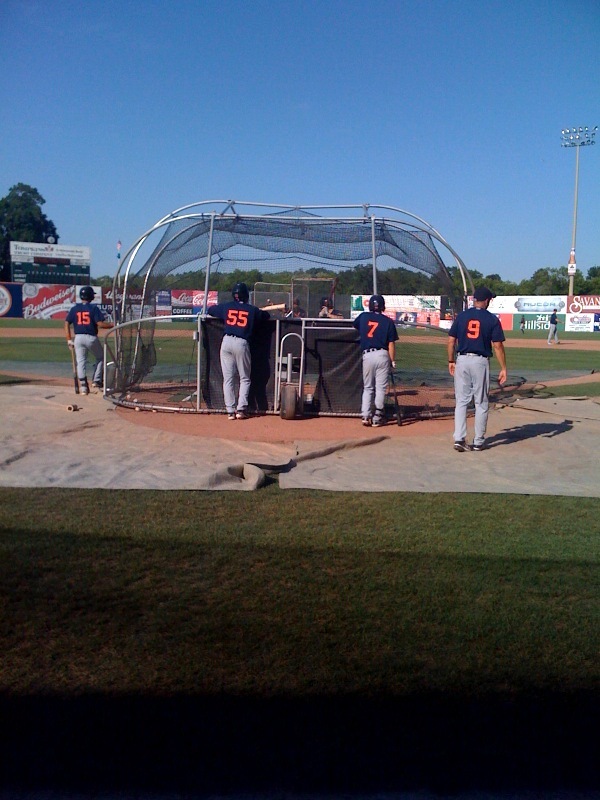 Auburn is the New York-Penn League affliate of the Washington Nationals. 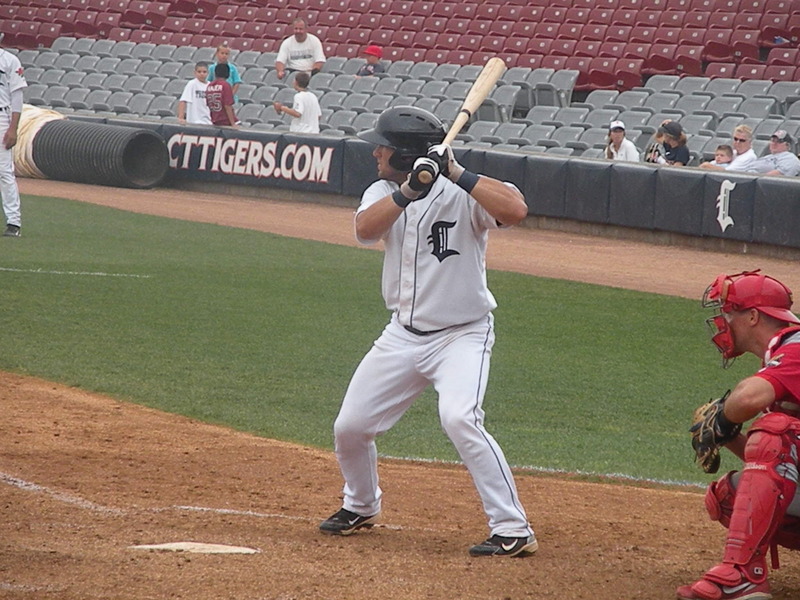 Andrew Graham’s club then visited Lowell, a quick drive up 395 (and 290), for 2 games. 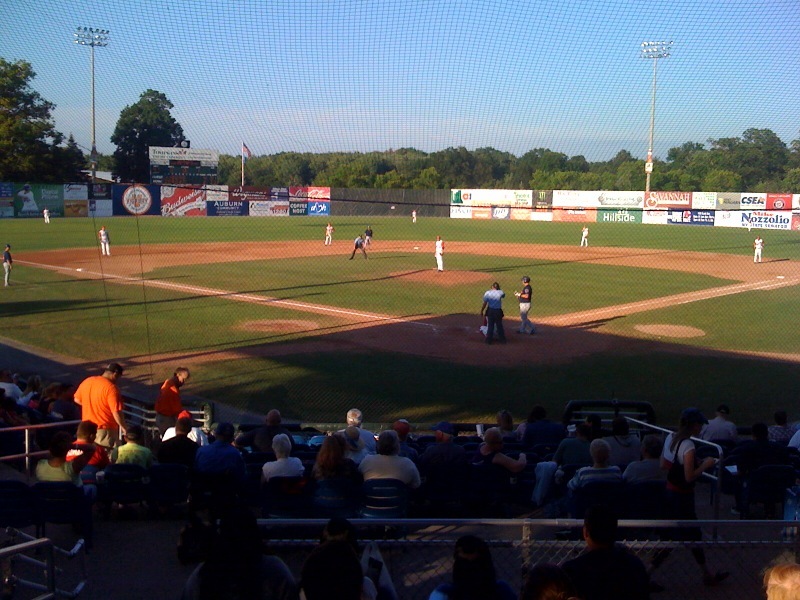 The Spinners, a Stedler Division rival, play at LeLacheur Park, located on the campus of UMass-Lowell. 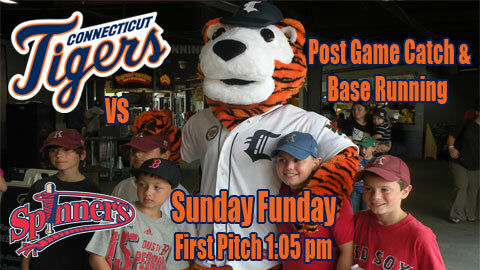 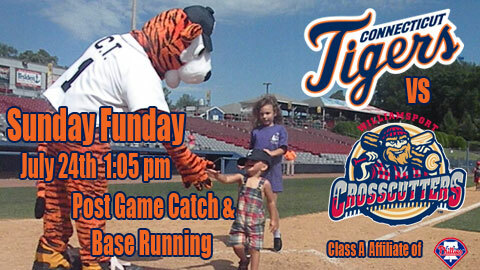 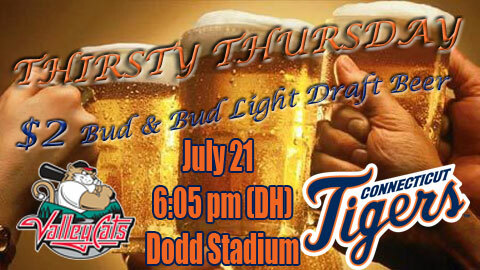 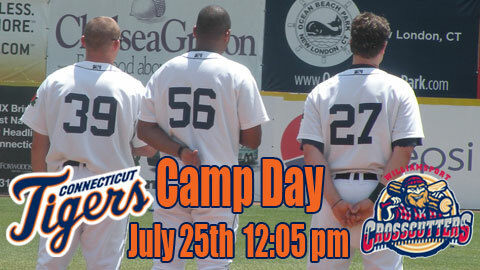 The Tigers and Spinners continue their series with 2 games at Dodd Stadium Sunday and Monday. 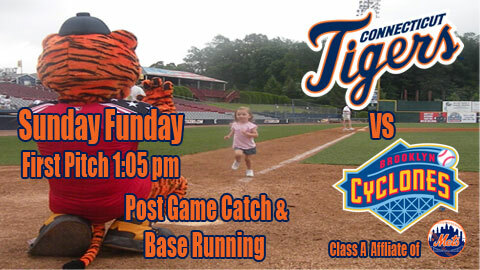 Tomorrow, it is C.T.’s Birthday Party and Sunday Funday. 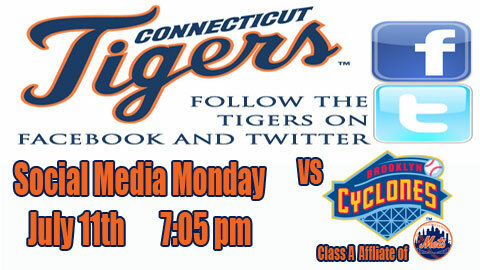 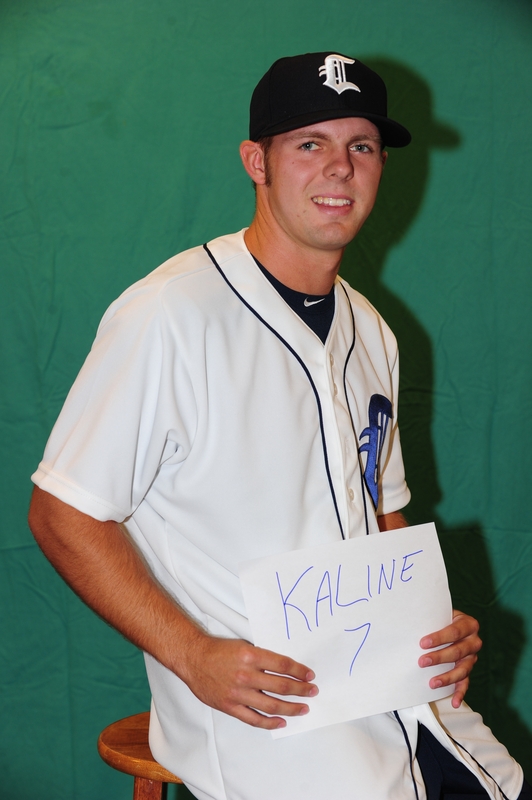 The Tigers recently completed a 3 game series against the Brooklyn Cyclones. 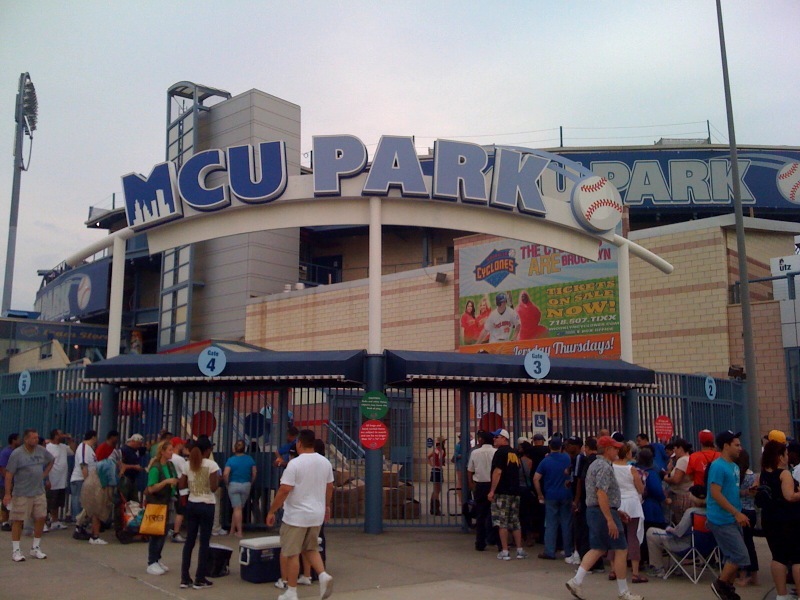 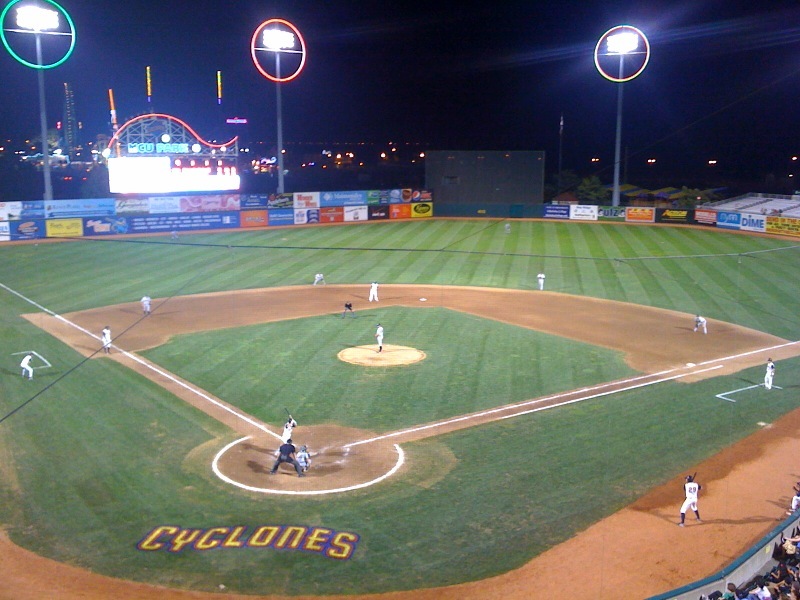 The Cyclones play at MCU Park. 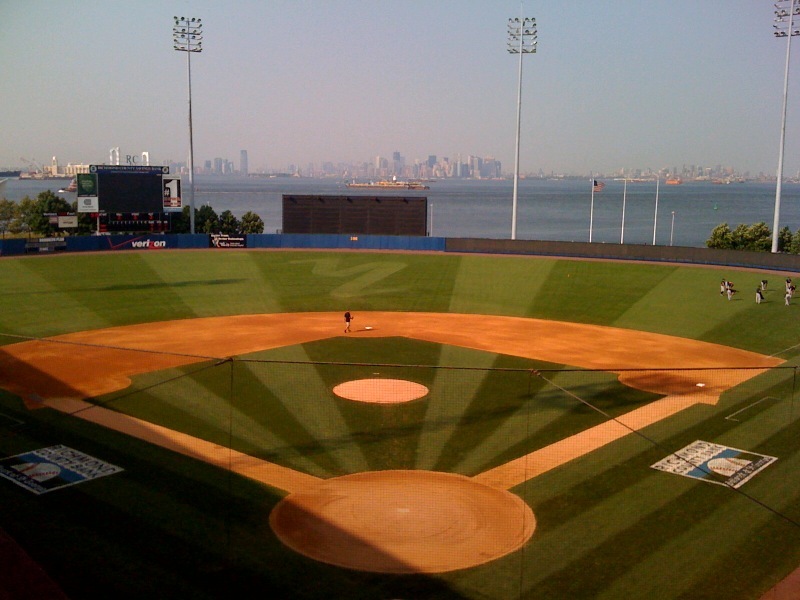 The stadium is right on Coney Island and its famous boardwalk. 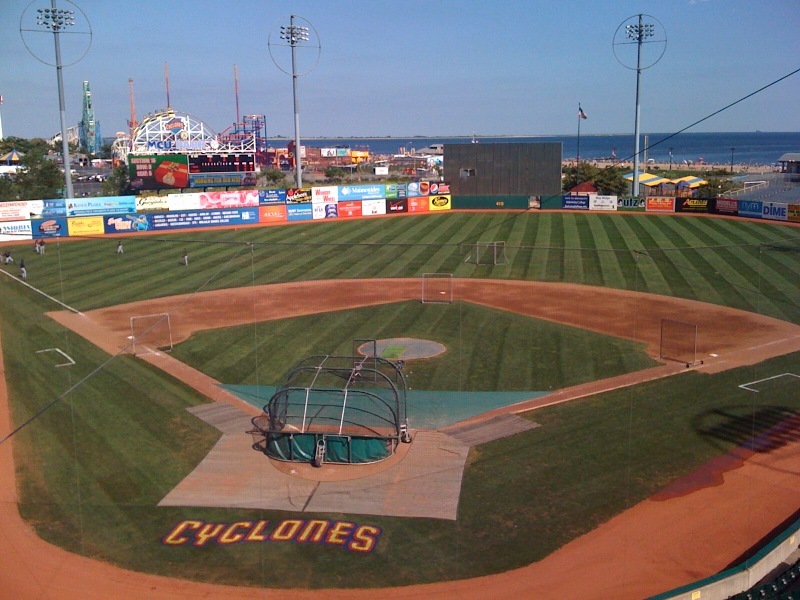 The Boardwalk is home to the original Nathan’s Famous. 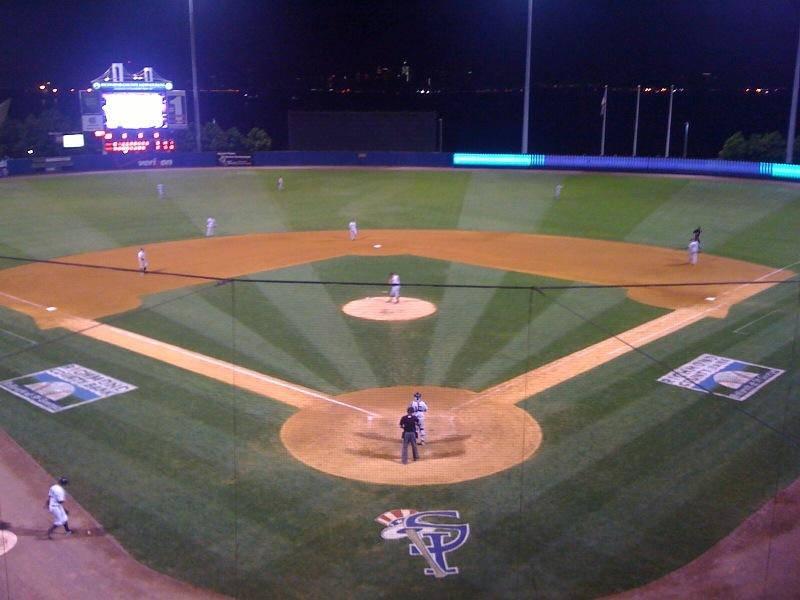 Outfielder Tyler Collins hit one of, if not the longest, HR in MCU Park history on Wednesday. 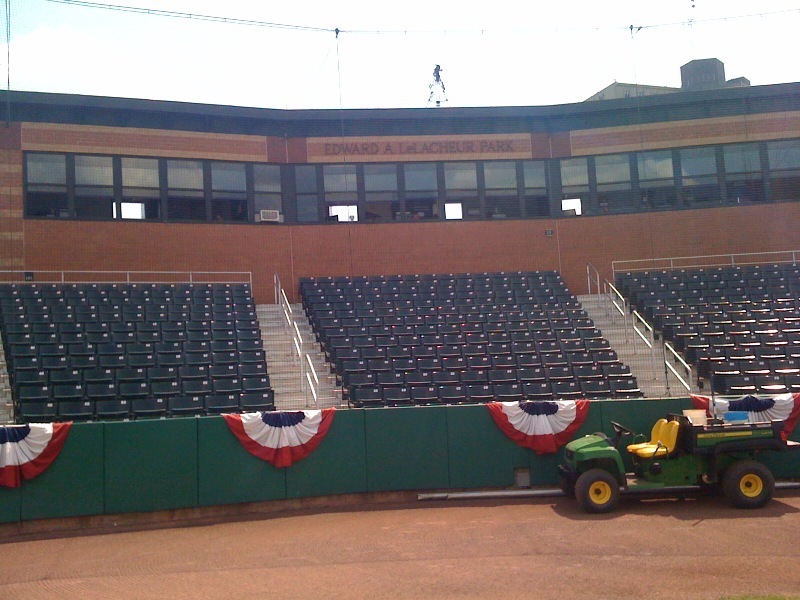 The ball cleared the right field bleachers and landed just before the beach. 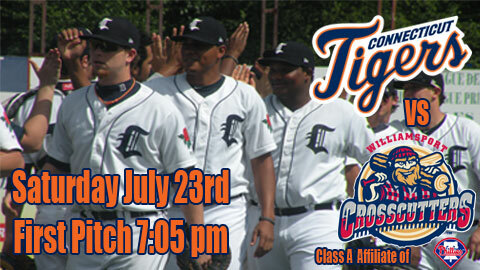 The Tigers return home tonight to begin a 3 game homestand against Batavia. 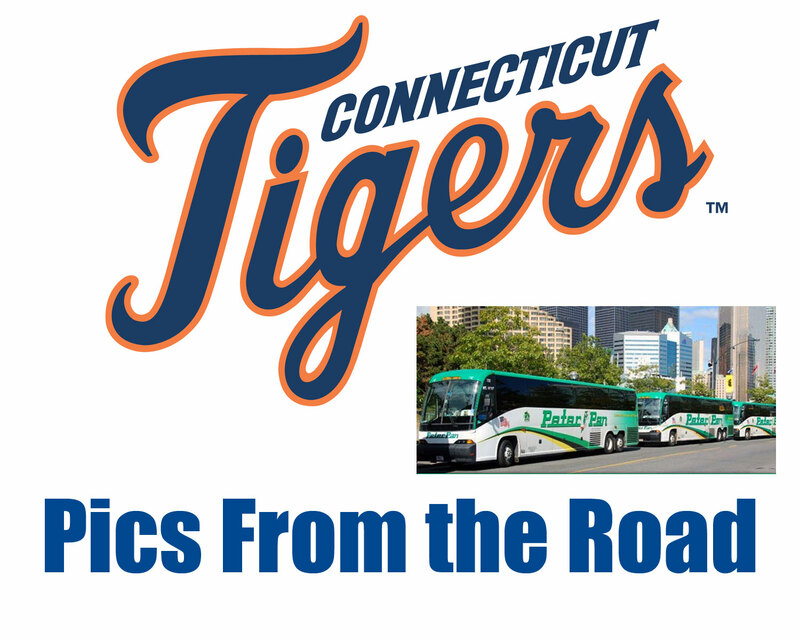 The Tigers recently completed their 8 games, 3 city road trip, the longest of the season. 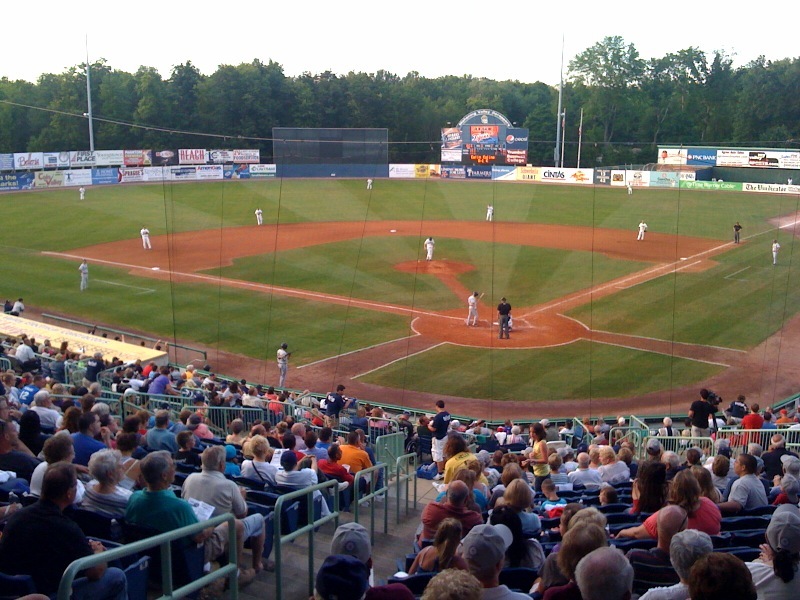 Connecticut’s first stop was Eastwood Field, home of the Mahoning Valley Scrappers. 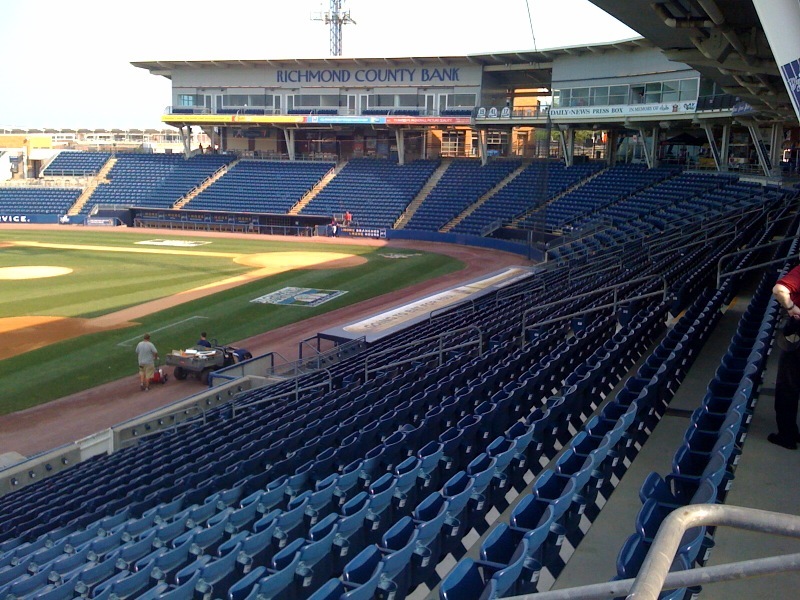 Niles, Ohio is over 500 miles from Dodd Stadium. 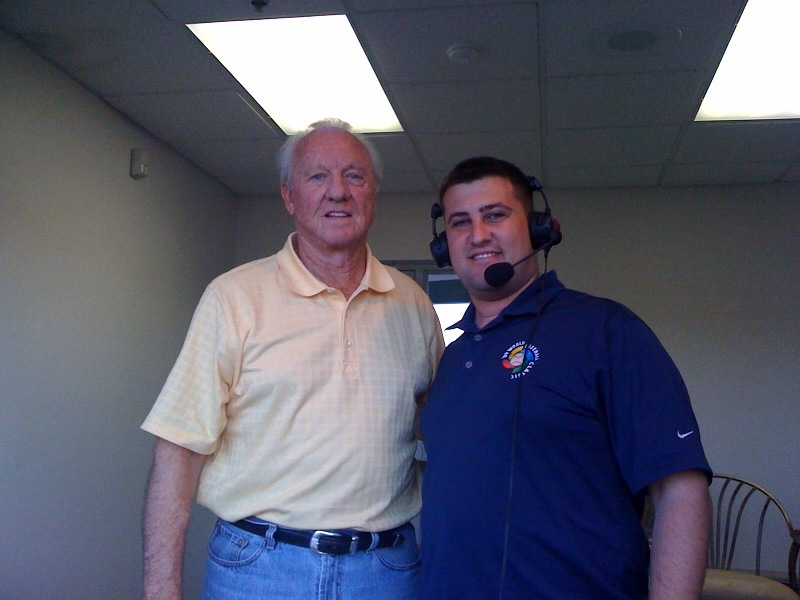 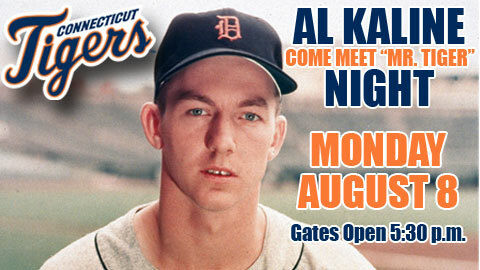 Tigers’ Hall of Famer Al Kaline, who will be appearing at Dodd Stadium on August 8th, stopped by the Tigers’ radio booth. 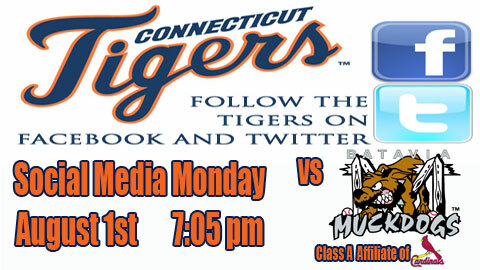 The Tigers then traveled to Fishkill, NY to take on the Hudson Valley Renegades for 3 games. 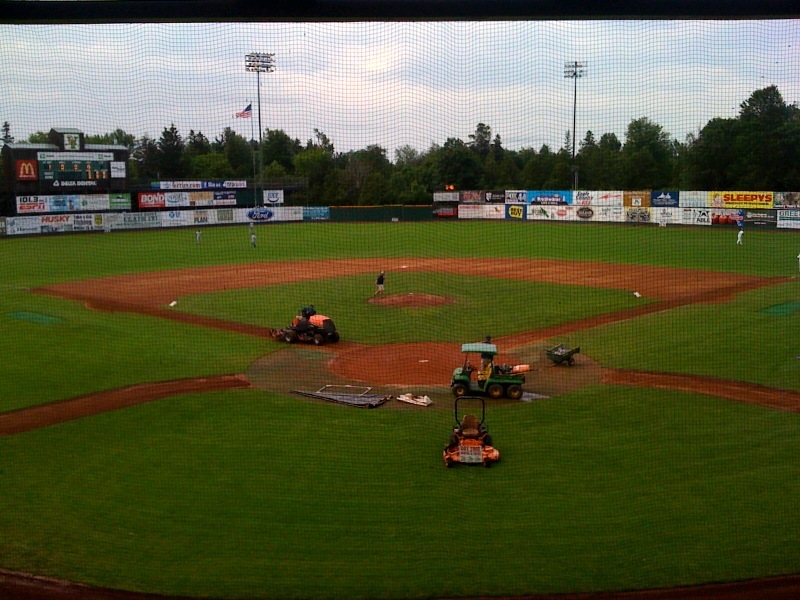 The New York-Penn League affiliate of the Tampa Bay Rays play at Dutchess Stadium. 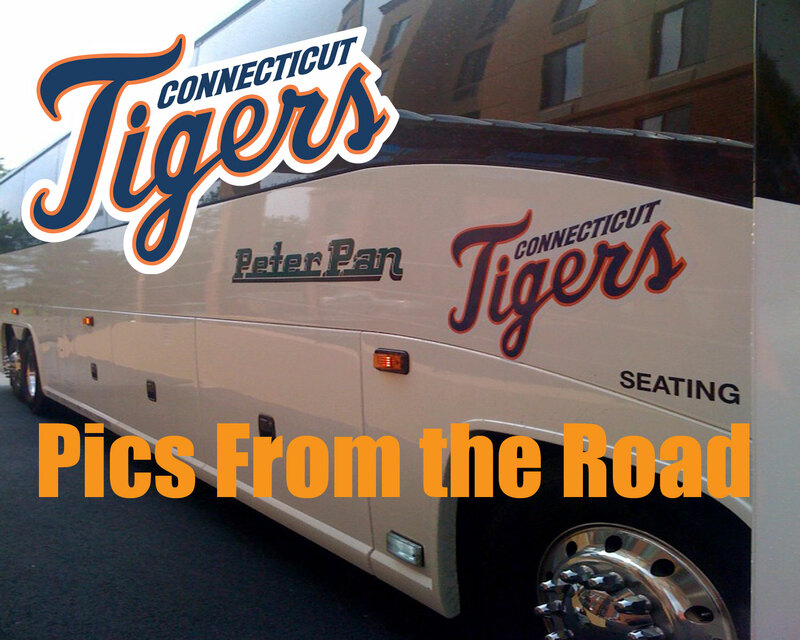 For the final leg of their trip, Connecticut went North on I-87 to Troy, NY. 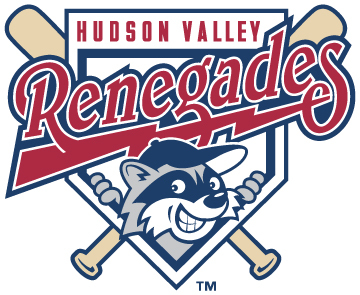 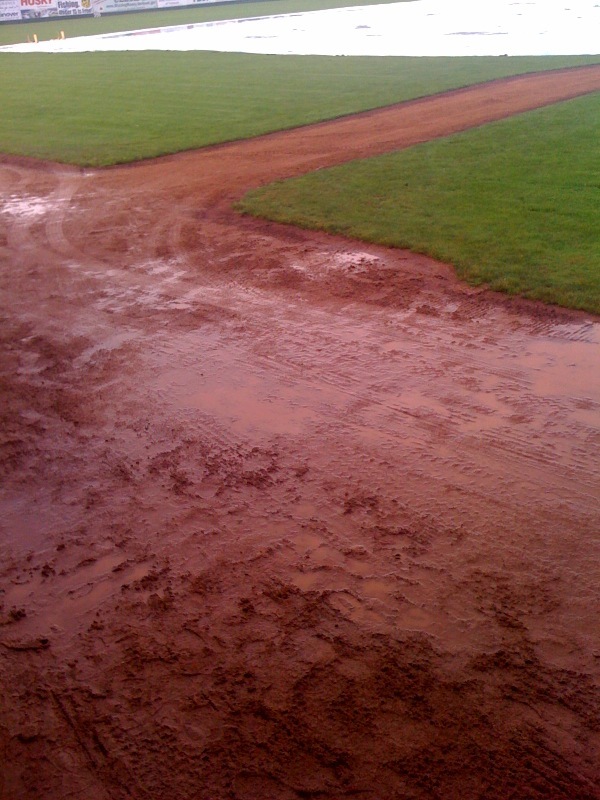 With a Tuesday night game followed by a 11 am Camp Day game on Wednesday, the Tigers and the ValleyCats played 2 games in less than 24 hours (Note: the Tigers and Renegades also played a Morning game on Monday). 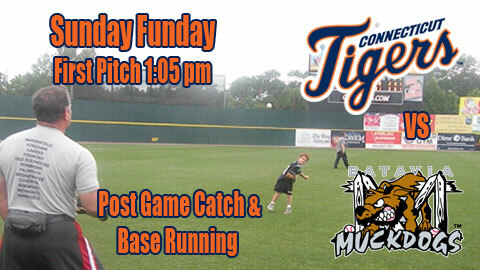 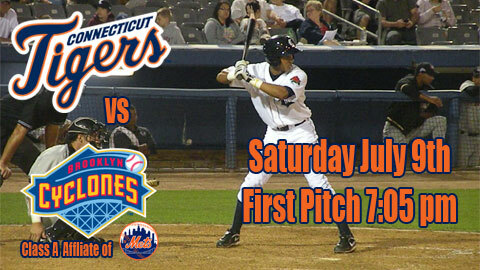 The Tigers and ValleyCats will continue their “home and home series” now playing at Dodd Stadium. 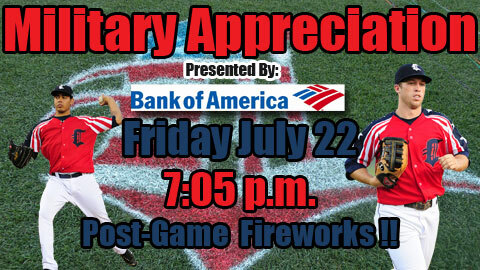 There is a doubleheader on Thursday and Fireworks on Friday. 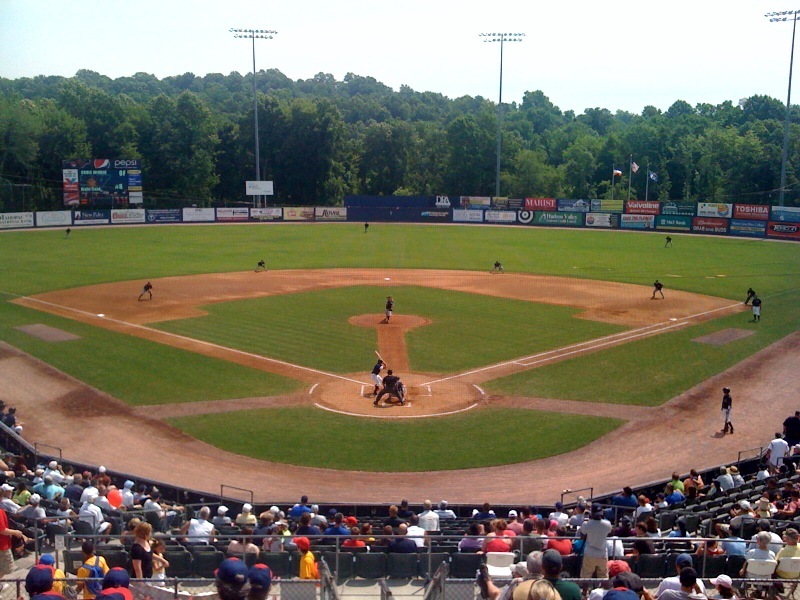 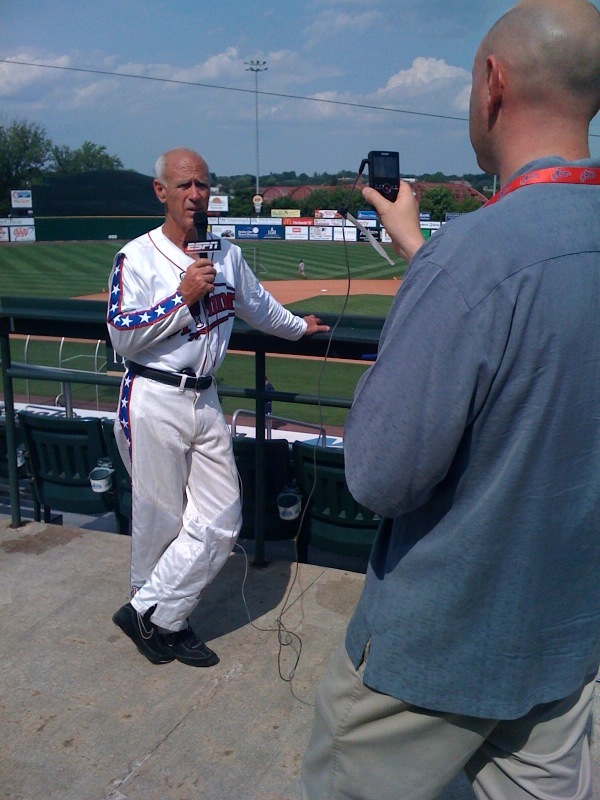 The Williamsport Crosscutters visit Dodd Stadium Saturday-Monday. 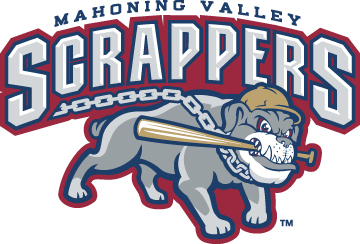 The Crosscutters are the New York-Penn League affiliate of the Philadelphia Phillies. 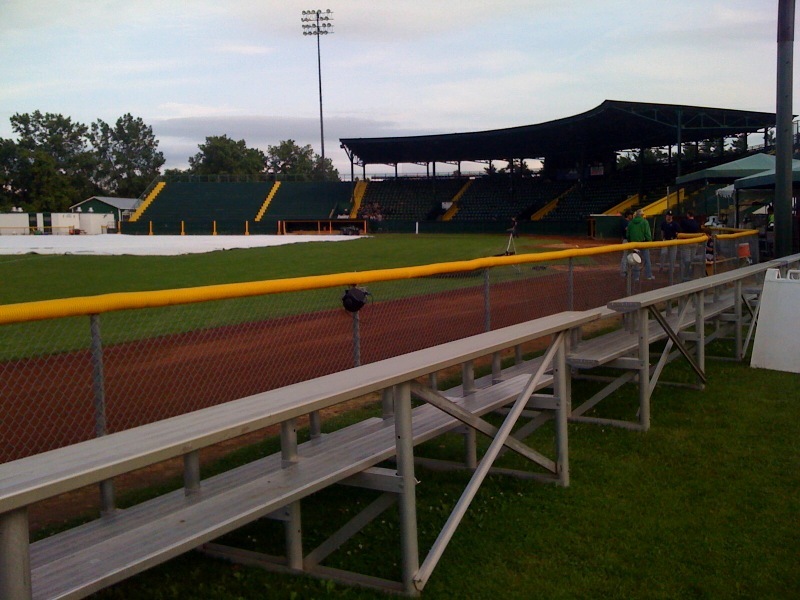 As per NYPL scheduling, the Tigers do not visit Williamsport this year, but did in 2010. 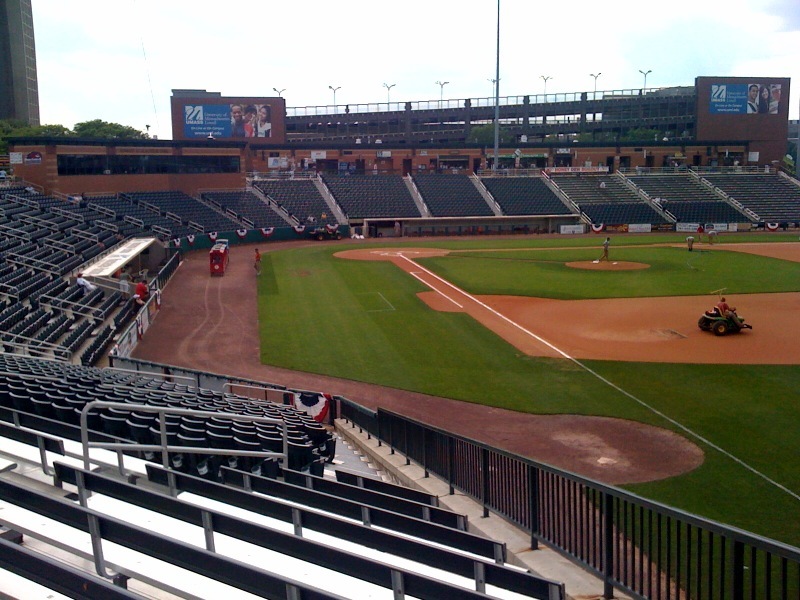 All of the Stedler and Pinckney Division teams play one series against each other every season, just the site is alternated. 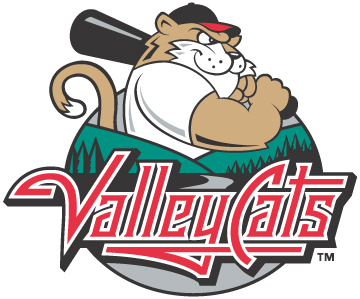 For example, in 2010 the Tigers played at Batavia, Jamestown and Williamsport, while hosting Auburn, Mahoning Valley and State College. 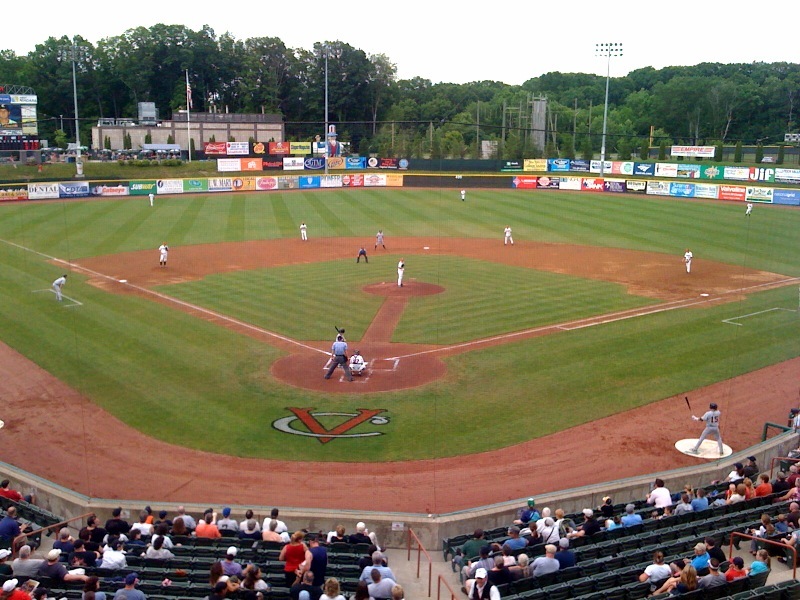 This season, Williamsport (July 23-25), Batavia (July 30-August 1) and Jamestown (August 9-11) visit Dodd Stadium; and the Tigers travel to Mahoning Valley (July 13-15), Auburn (August 2-4) and State College (August 12-14).